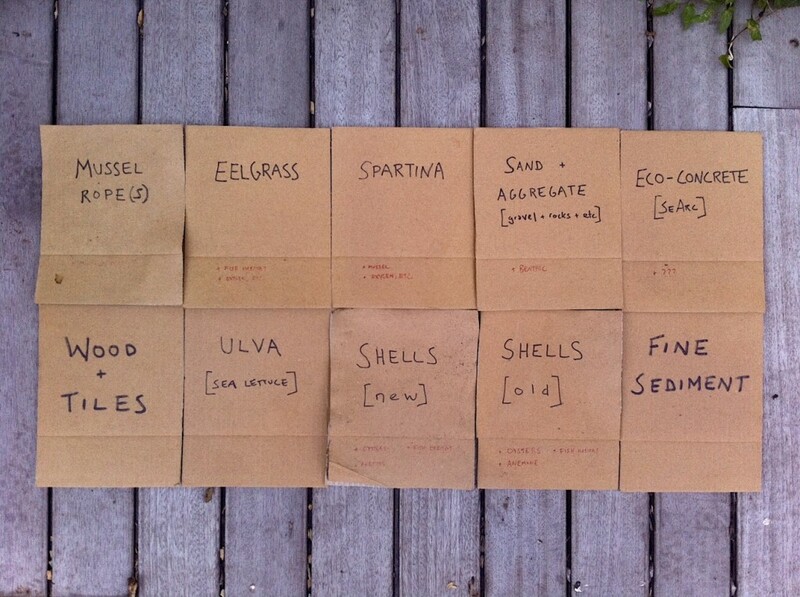 Potential substrates and plants to include in the Living Dock. We have begun work on the first prototype of our Living Dock project (funded by the Greenpoint Community Environmental Fund). Aimed to provide needed habitat to a variety of flora and fauna native to Newtown Creek, the dock will support small individual units underwater, each with a different substrate material or plant. 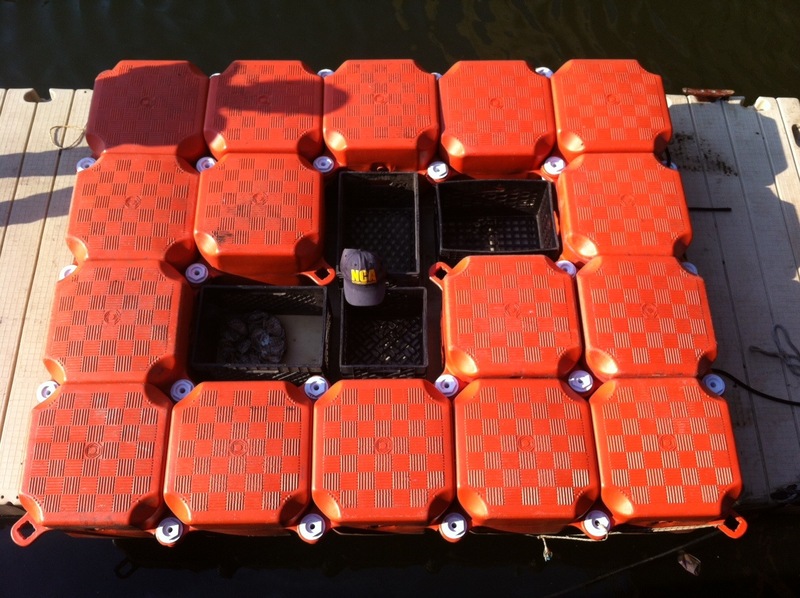 Living Dock version 1.0 is an EZ-Dock configuration with cavities in the middle for pilot individual units (old milk crates). We will be installing version 1.0 in early August to give time for animals and plants to colonize and grow and continually monitor their progress on a regular basis. Over the winter we will finalize plans for Living Dock 2.0 and transfer the growing units once construction is completed in spring 2015. In the meantime, checkout our Living Dock Tumblr for latest photos of the project as it grows! Living Dock version 1.0 dry-docked. NCA recipient of GCEF funding!